I'm never really ahead of the curve on craft trends. It always takes me a while to get in to something, and so it took me a while to get in to Promarkers. And while I'd heard that you can use them to re-colour other things (like gems, and peel-offs, and stickers) I had never tried it. 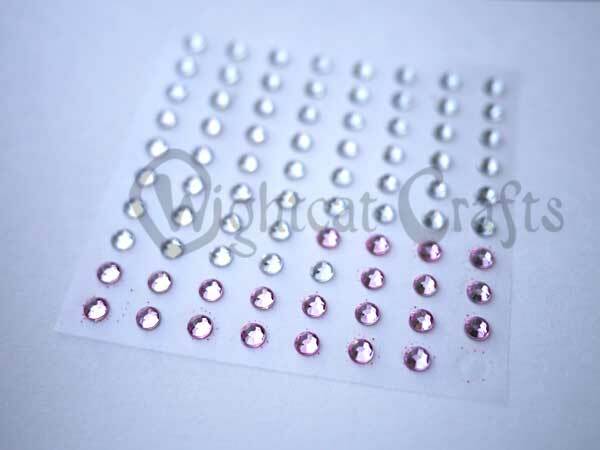 But my friend is getting married and I'd offered to make the invitations, and on the sample I'd used a pretty pink gem. She loved it - which was great - except I ran out. So thank you Mum and Mindy, for reminding me that I could use a pink Promarker to turn my little clear gems into perfect pink ones. And then I realised that the white alphabet stickers that didn't work on my scrapbook page, would look perfect if they were pink. And in doing so, completed what might be the longest scrapbook page ever. Thankfully, I love it. That perfect pink was worth waiting for. Some Hunkydory kits look more enticing than others, and when I first looked at the packet for these Lady in Red luxury cards I wasn't too sure how they were going to turn out. These kits are gorgeous. I say it every time, but the quality of Hunkydory kits is astounding. 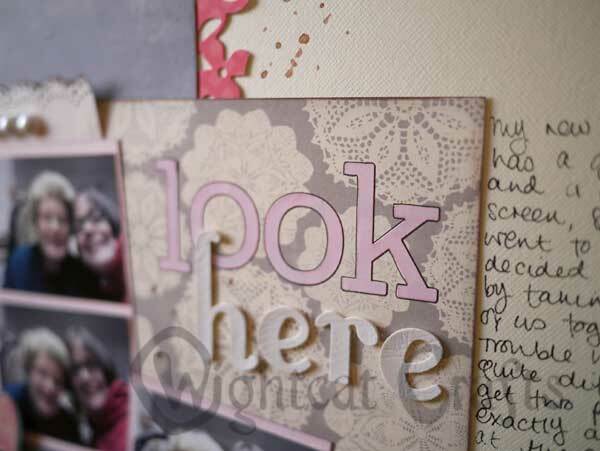 The silk cardstock is thick and glossy, and the cards are all pre-scored so they're easy to fold. 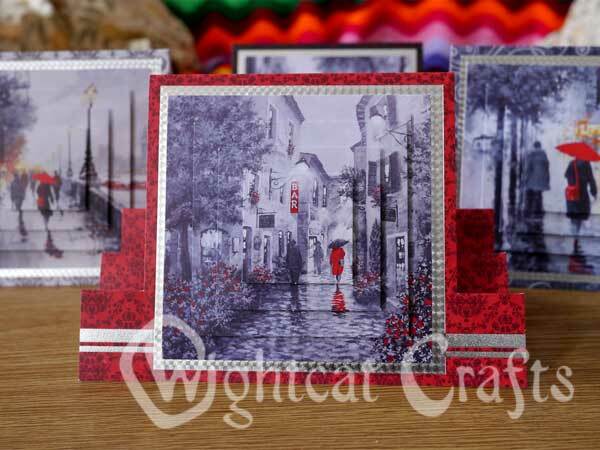 These are the pyramage cards, with four layers to each image. There are four designs in the pack. The leftover images from the pyramage cards....make the invertage cards. I know it was late at night when I was putting these together, but I thought that was pretty clever. 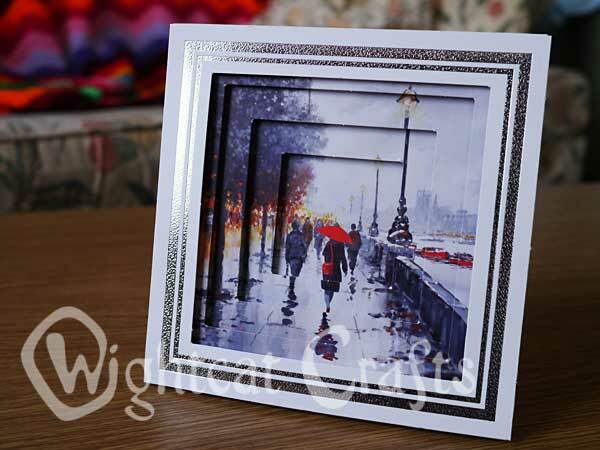 The same four designs are repeated, and this time instead of the stepped card, you get a box and frame to put these in. Each box has a foldout piece on the back so it will stand upright, and a hook so you could even hang it on the wall. 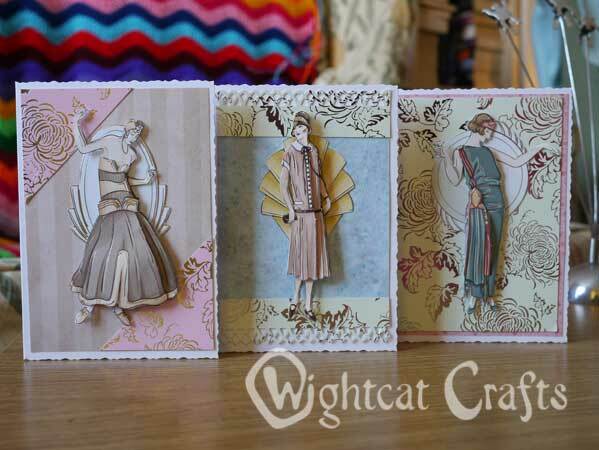 I just love these cards, I think they're quite beautiful. 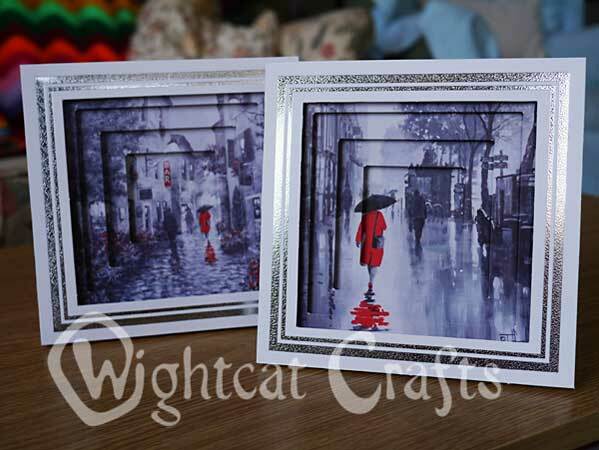 After all the sweetness and light of Christmas, these monochrome cards with a splash of red look stunning. 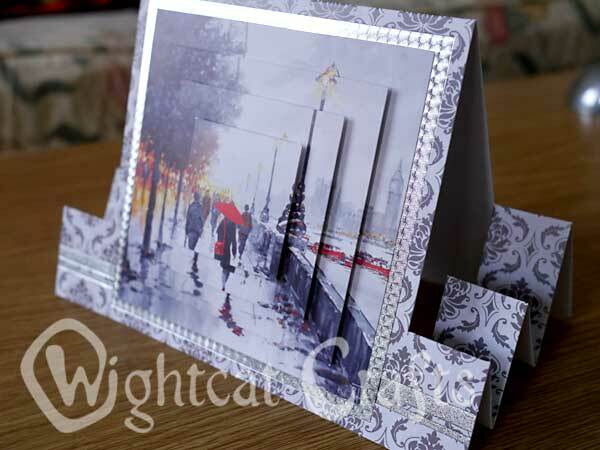 I don't normally post about prices on the blog, but I just wanted to let you know that this kit which makes 8 cards is currently only £6.99, which I think is a real bargain. Last week, Mindy took a delivery of some very exciting yarn. Patterned sock yarn, to be exact. ...and it looks pretty amazing knitted up as well! 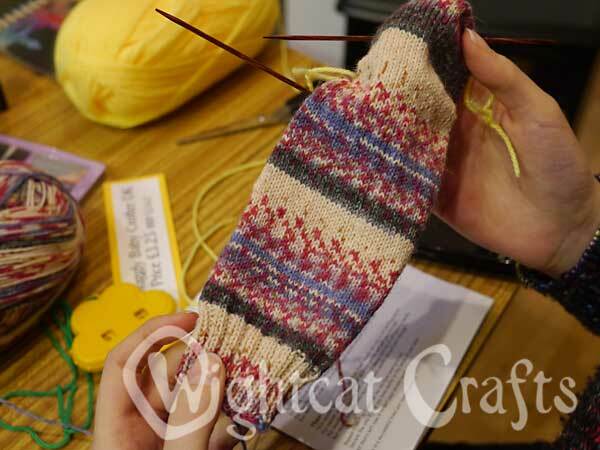 The sock pattern is free when you buy a ball of yarn. 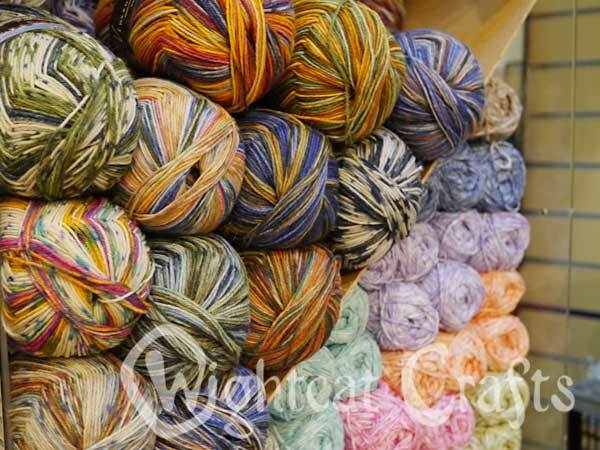 I love variegated yarns, they make knitting so much more exciting. These ones really, really make me want to knit socks. I think I should probably finish the projects I'm already working on, but I'm definitely adding these to the list! If you receive our newsletter, you will have seen that we are now stocking Mouseloft Cross Stitch Kits. 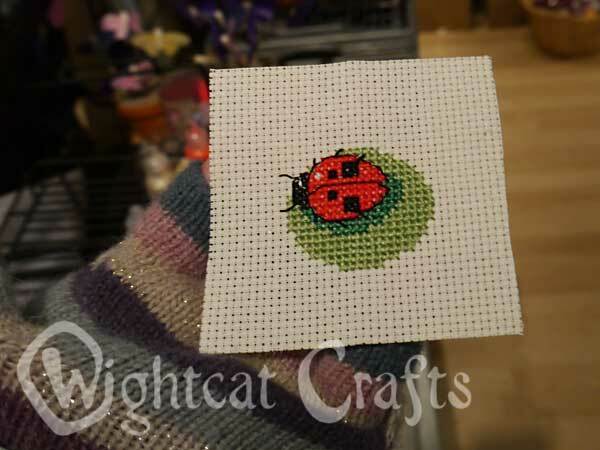 I tested a sample yesterday for you and this little ladybird took less than two hours start to finish, including a break to chat to someone. 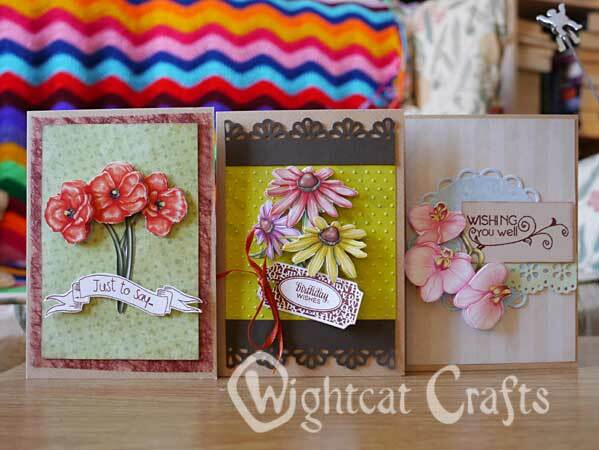 The Tiddler range is the perfect size to make quickly for a card, tag or other crafty gift. 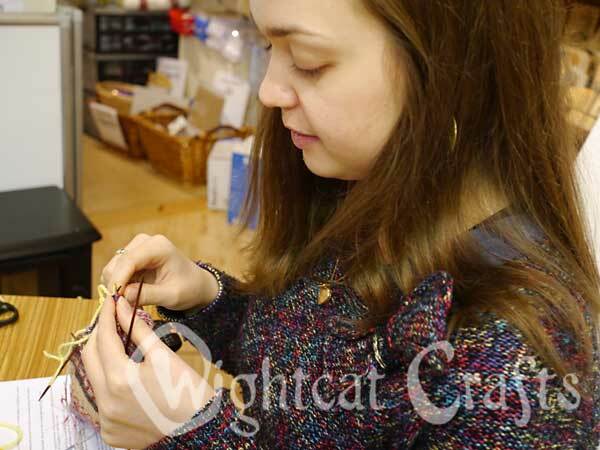 The kits come with everything you need and the lengths of thread are pretty generous too. Enjoy! These are my favourite. Maybe that's why I'm saving them till last? All these cards are on 4x4 blanks, so the image itself is only about 3x3. Beautiful. 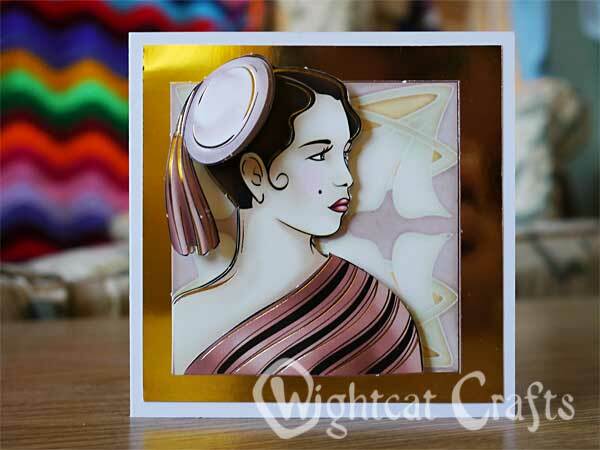 Mirror card is really difficult to photograph, but there are gold highlights on all these decoupage images, so I had to use some as a mount. These cards don't even need a greeting, I think. Just lovely as they are. I double-mounted this one but that's as much 'extra' as it needs. This one is my favourite of all. I used some embossed card, but you could run a background through the Cuttlebug for extra texture. Thanks for sharing my decoupage ladies! Oh gosh, I wish fashion was still this glamorous. 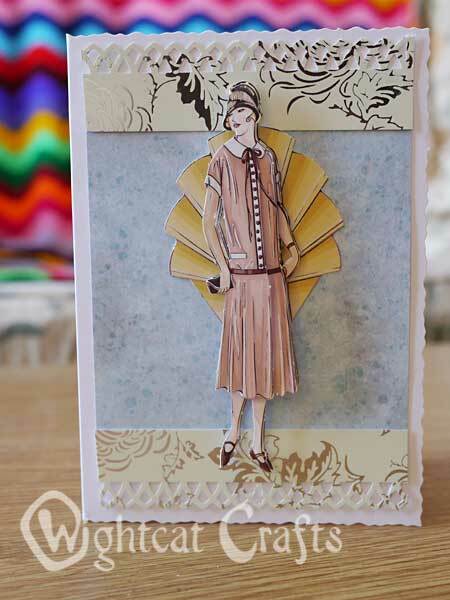 Also, I wish I was this thin and elegant! And hats! Can we bring back cloche hats? I think this one is best kept for special occasions only, though. Imagine turning up to work in that! 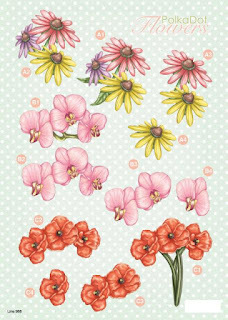 You can find this decoupage sheet here. 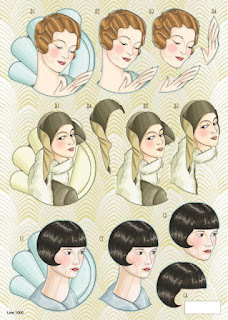 My final group of elegant ladies will be appearing tomorrow! These decoupage flowers are some of our new stock for January. They are die-cut and super quick to assemble. Because they are so simple, at first I couldn't think how to arrange them on the card without any kind of background shape or element. 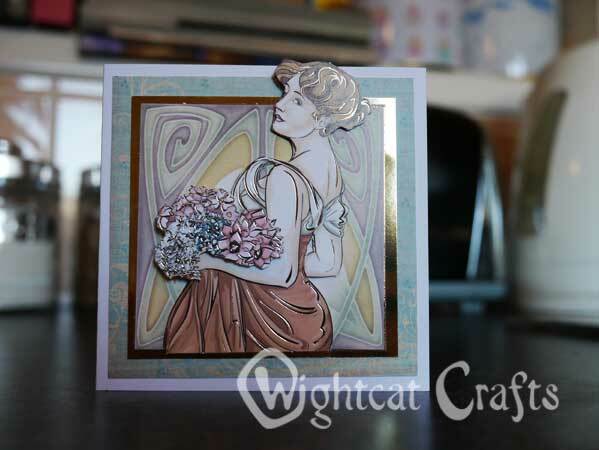 Then I realised that actually, this was perfect for me to add my own backgrounds and greetings, and make a much more varied range of cards. You might also notice that these cards have a watermark on. There are so many websites out there that take images and use them as their own - and even places like Pinterest where people blog images without the original source - that I felt it was about time I laid claim to my own work. I really hope that these images inspire you to get creative. And if you post your own work online, you can find out how to make your own watermark brush in Photoshop here. 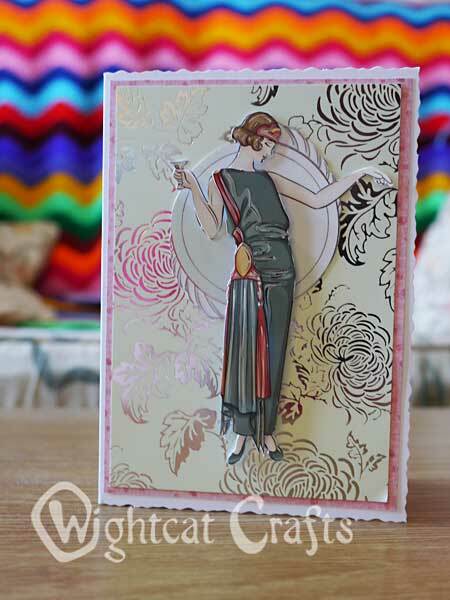 I've also been trying out the Art Deco Decoupage that's new in the shop...that'll be up on the blog tomorrow! I’ve been putting the first of the new products for the year up on our website today. 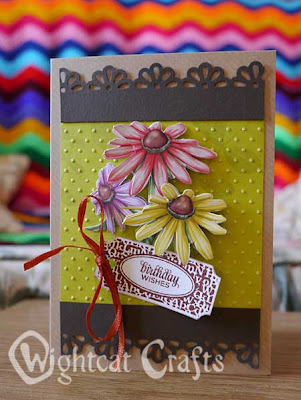 We have 2 new Die Cut Decoupage series. They are in stock & available right now in the shop. There is the Art Deco Series & the Polka Dot Flowers Series….with a special offer to buy the complete set in each range. Phew! I can't believe Christmas is over. I feel slightly bloated from eating far too much chocolate, and totally ready for a new year of creativity. In case you haven't, it's a website for collecting links to all sorts of inspiration. A bit like the corkboard I used to have pinned up by my desk...except this is all online and so each image links back to the original source. Pinterest is a great place to spend hours collecting inspiration...but I wanted to make sure that I did something with all of this eye candy. So, I present: Pinterest to life. 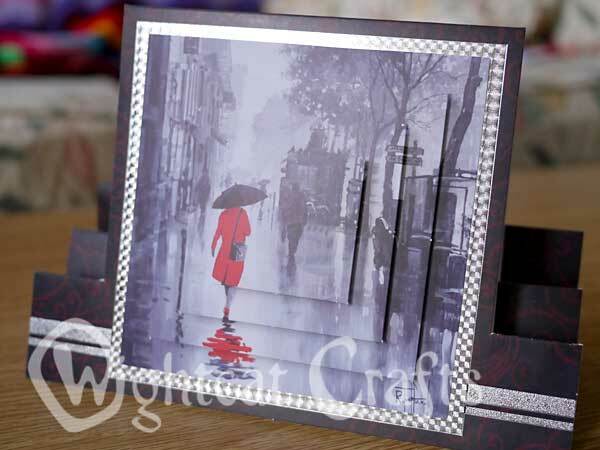 I'll show you how I've used an image from Pinterest to create something myself. Check out this image on my Pinterest board. 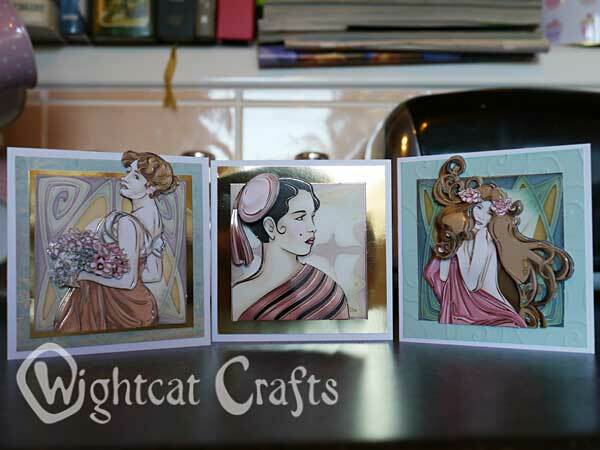 These lovely cards are by Danielle Flanders. Simple, colourful...you can practically hear my brain whirring with ideas. And here's my version. 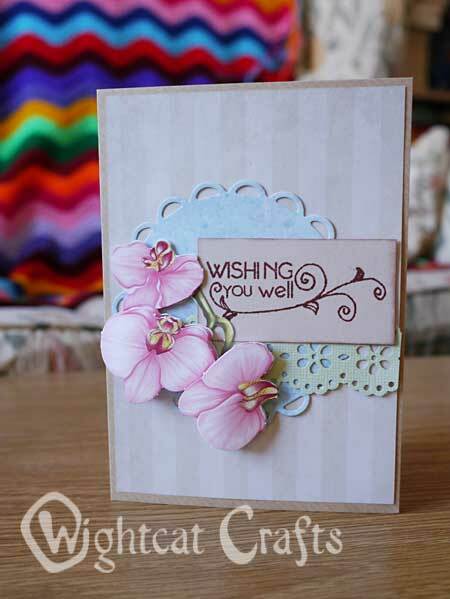 I used a coloured card blank, and rounded the corners of the white card front. 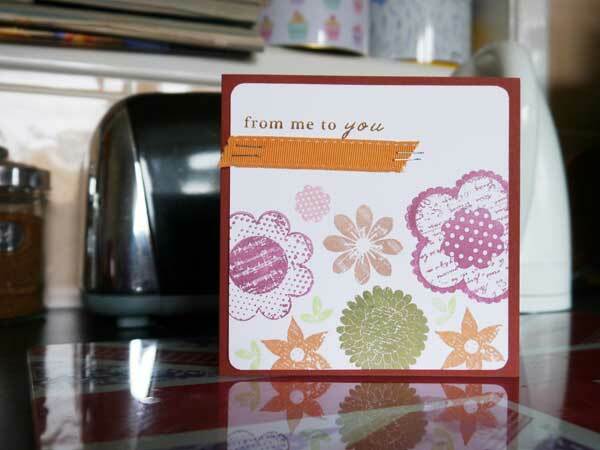 Then I used a collection of flower stamps across the card, stamping right over the edges. 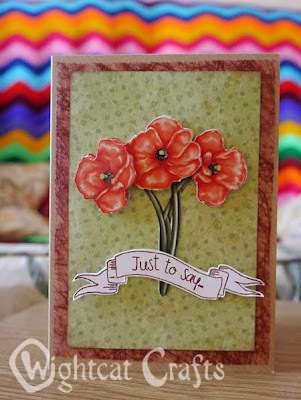 I only have small sentiment stamps, so instead of putting the greeting over the flowers I used the white space at the top. 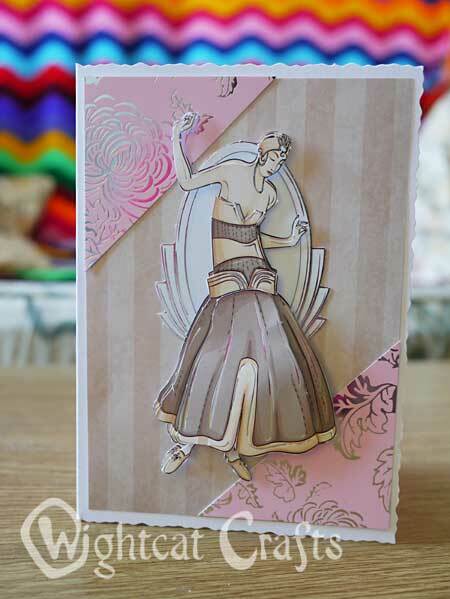 I left off the machine stitching, and replaced the string with ribbon, because that made the card more 'postable'. The colours I've used are much softer and more autumnal, as those are the inks I had to hand. I love Pinterest for ideas, but I love it even more when I can use those ideas to make something of my own. I want to spend less time reading website and more time making things. This is just the start! If you'd like to 'follow' me on Pinterest, you can find me here.